Though this may seem like a forced reference, trust me, it’ll make sense in the long run! 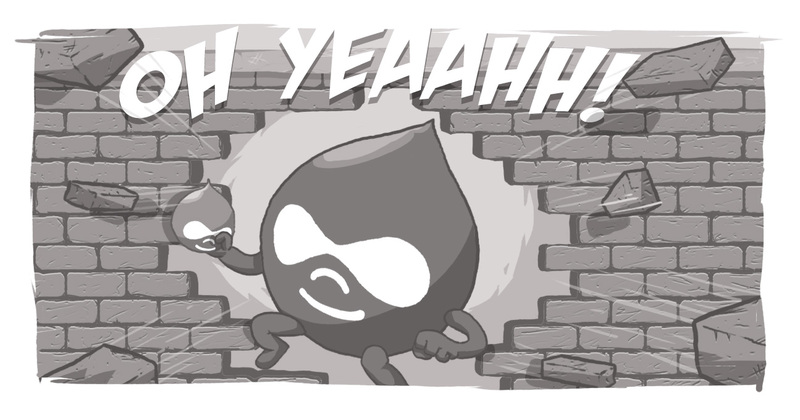 Earlier this week, Jay talked about how he would be attending DrupalCon for the first time. And while I’ve been to a few DrupalCons over the years, I’m happy to announce that this year marks the first time that I’ll be presenting at one. On Apr. 10th I’ll be presenting “Making Drupal Fast - A Surgical Approach," and later that same day I’ll be joined by fellow Echidna Jordan Thompson as we present “Story City - An Interactive, Rich Media Map Case Study." Yes, I figured for my first DrupalCon presenting, I wasn’t going to play it safe -- instead I’m swinging for the fences! Presenting at DrupalCon is a lot like debuting in the major leagues in baseball. You see, one does not simply walk onto a DrupalCon stage. Instead, you have to work your way through the ranks, as it were. From there, you can present at a regional Drupal Camp or two. In baseball terms, you’re getting in your swings and getting experience in the field. Whether presenting or stepping into the batter’s box, it’s all about familiarizing yourself with the experience and gaining confidence in your abilities. After all, if you step into the batter’s box and have a pitcher groove a 94 MPH fastball, you’re likely not even going to come close to making contact -- and that’s even if you manage to get the bat off your shoulder. But the more and more you step in, get accustomed to the crowd around you, the field you’re on, and the speed of the game, the easier it gets and the more it slows down. That’s no different for presenting. Many people dread public speaking, but the more you do it, the less intimidating it becomes. You may never lose the butterflies, but you learn how to manage them. And, ultimately, you can actually start enjoying the process. But DrupalCon is The Show! This is the big leagues and I’m not going to deny that there will probably be a moment where the nerves start to build up. But I liken it to making your big-league debut in your home stadium. Sure, you may be nervous, but everybody in that room at DrupalCon is going to want you to succeed -- they’re there to watch you, to learn, and to have a good experience. We’re all on the same team and we all have the same goals. At Digital Echidna, we’re committed to helping our staff grow and develop. Whether it’s writing blog posts like this, mentoring other developers, participating in educational programs, or event presenting at events throughout North America and around the world, we’re committed to sharing our knowledge and giving our staff the opportunity to be leaders in their field. We’ve had multiple people present at various events and we’ve had a few take the stage at DrupalCon. I’m thrilled to be joining their ranks and I’m looking forward to the experience. On Wednesday, I’ll be ready to step into that batter’s box, plant my feet, and groove that pitch into the upper deck. Sure, there will be nerves, but thanks to Team Echidna I’ve had the opportunity to take enough cuts in the minor leagues, that I’m confident in what and how I’ll be presenting. I hope to see you in the stands -- er, the audience -- next week if you’re in Seattle! Who is presenting at DrupalCon Seattle? Does Digital Echidna have any presenters at DrupalCon Seattle? How does one get to present at DrupalCon?